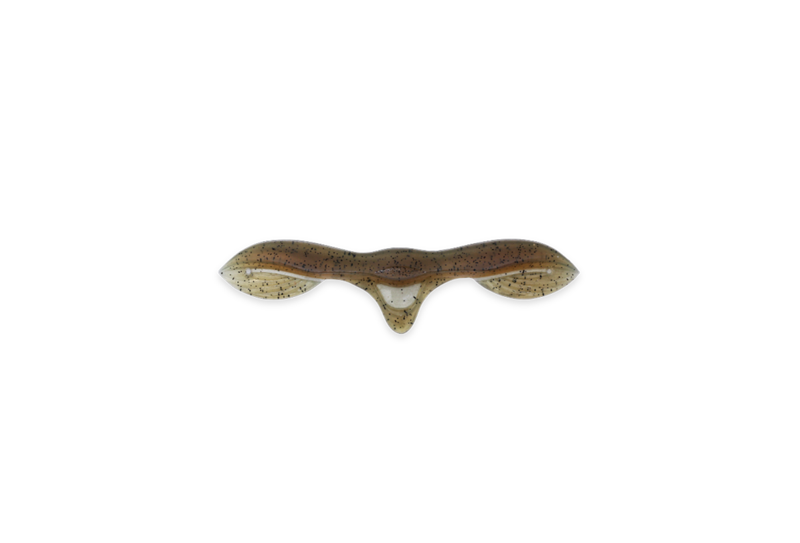 In lure development, “Match the bait” is a basic approach. Away from the stereotype, Konoha was designed for a movement that the bass react to. 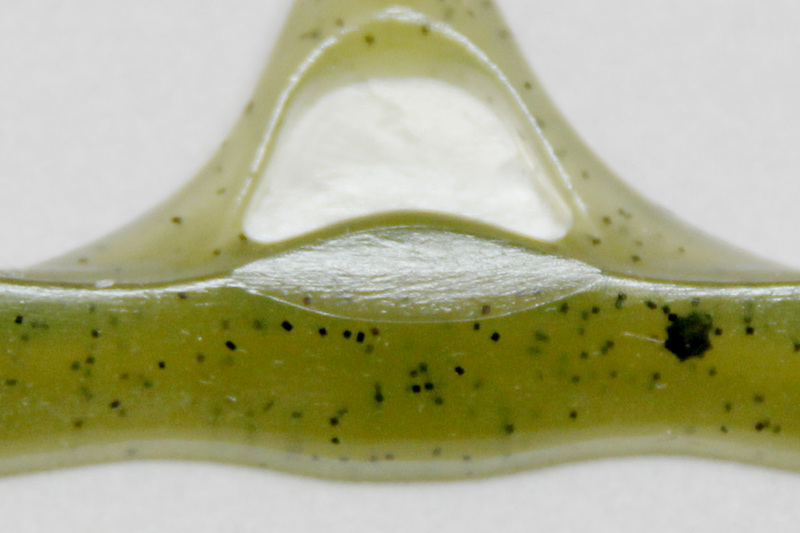 It is a soft bait that falls like a leaf, specialized for jig head wacky. Its falling action in an illuminating effect, while flipping and dancing, ever changing its shape, does not mimic any particular bait. 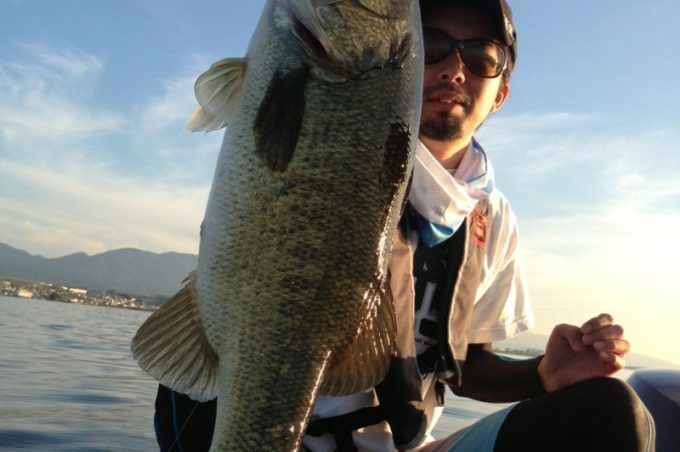 However, it is a fact that there are some bass that show unusual interest in this movement. 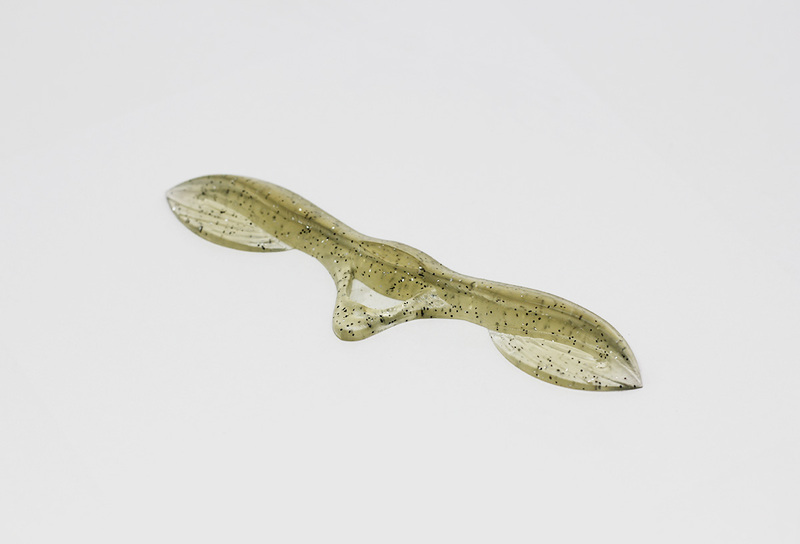 Jig head wacky allows a long, sustaining fall and dynamic changes in shape, which stimulates the appetite and reaction of the bass, alluring them to a bite. 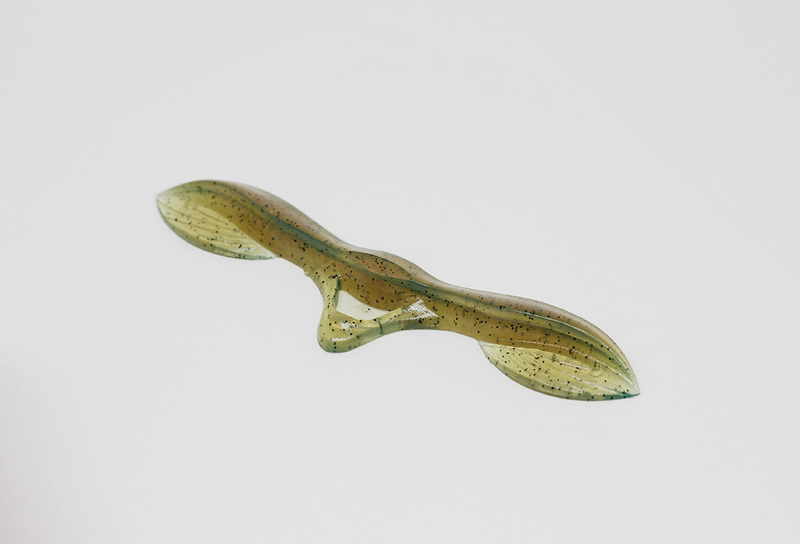 This method, unique to Konoha, is proven effective especially in big bass fishing at weed edges in summer or during a tight suspension along vertical structures. 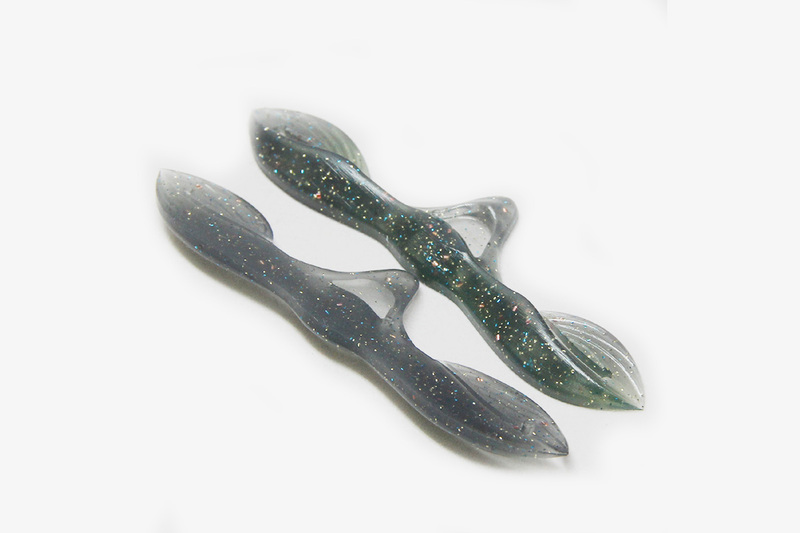 Konoha’s characteristics also work for down shot rig, and during a search for the bass in flat areas by appealing widely. Despite its compact body, Konoha has a strong presence. 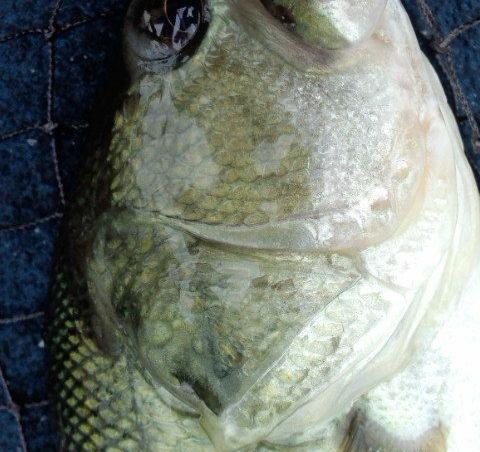 Watch out for a sudden attack from a big bass. When water hits the front side, it creates pressure that flips the body. Its form utilizes the flat surface to create the falling with reflecting light. The body form and the highly-buoyant material makes this one-of-a-kind action possible; dancing during a slow fall. 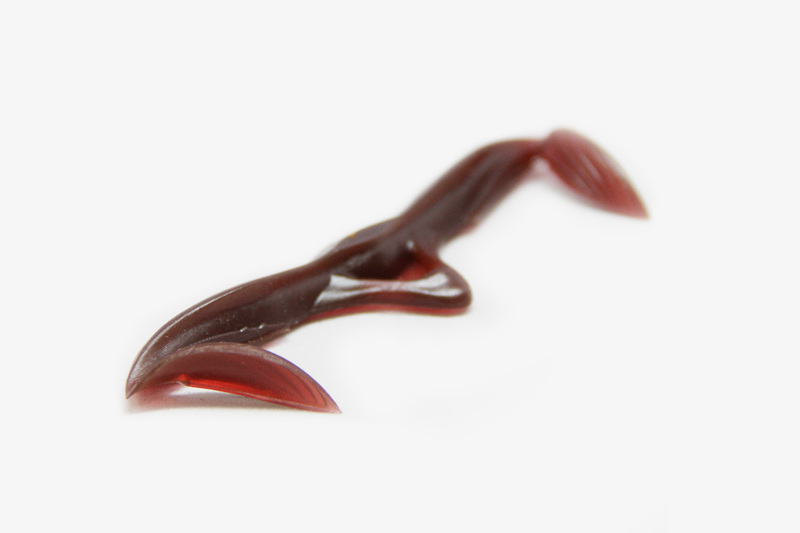 Cut the tails on sides along the lines, and you can attract fish with livelier and more complex actions. This arrangement is especially good for down shot rig. 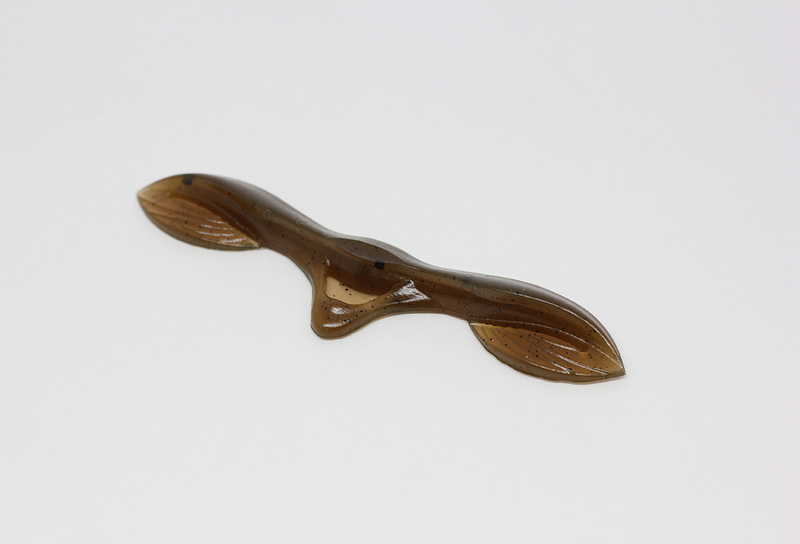 It is fantastic as a rubber jig trailer during slow falls. In order to prevent losses caused by a tear in the body from shallow hooking, or to bring out more direct actions, a hook set appropriate for Konoha is needed.